One of Android's biggest criticisms over the years has been how fragmented its version distribution is at any given time. At Google I/O in May last year, Google unveiled a plan to modularize the OS and make it easier to update. 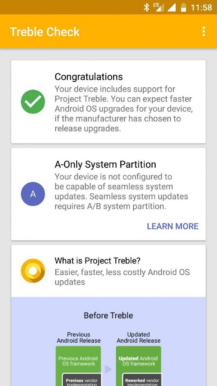 Project Treble, in short, separates out the base-level Android framework from the vendor implementation so OEMs are able to release OS updates without having to wait for chipmakers to update drivers. Faster updates should increase the distribution numbers for the latest version of Android, but Treble could also be useful for custom ROM developers, allowing generic AOSP builds ("Treble ROMs") to be installed on more phones. 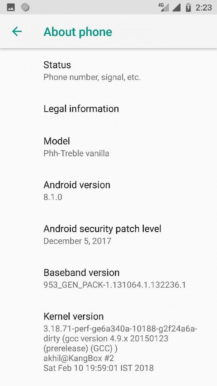 While devices launching with Oreo are required to support Treble, that's not the case for phones being updated to Android 8.0. Porting Treble compatibility would open up even more devices to ROM development, and it looks like someone has just managed to do it. Using a Xiaomi Redmi Note 4, senior XDA member abhishek987 did what the likes of Nokia and OnePlus either weren't able or willing to do. I won't pretend to fully understand the technical details, but it apparently involved creating a make-shift vendor partition using space normally taken up by OEM customizations not needed for an AOSP build. With vendor Hardware Abstraction Layers (HALs) moved to this new partition, Treble was enabled and a generic system image could be booted to the Redmi Note 4. This opens up lots of possibilities, such as installing a custom ROM like LineageOS on phones previously incapable of running it. 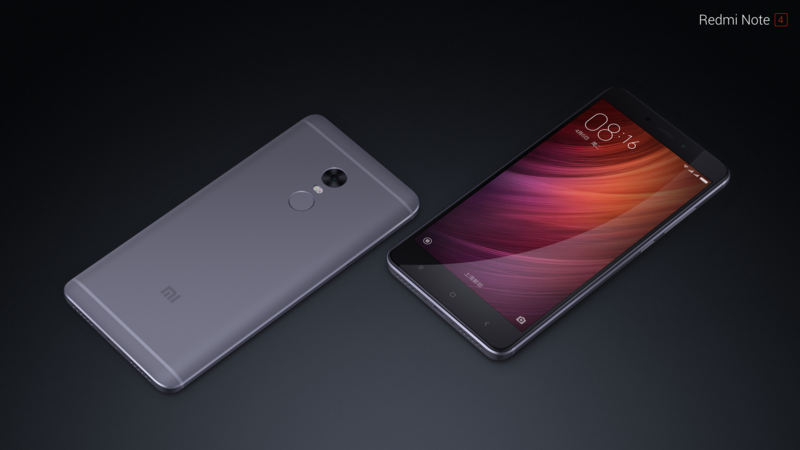 The developer even created a guide for carrying out the whole process on a Redmi Note 4. Now that it's been done for this Xiaomi phone, developers will already be working on bringing Treble support to other devices, no doubt. And when Android P rolls around, phones with Treble support will get it much quicker, with custom ROMs also coming faster, and to more phones, than ever before.